EXCLUSIVE Here’s a winning birthday “surprize” for family, friends, and co-workers of all ages. 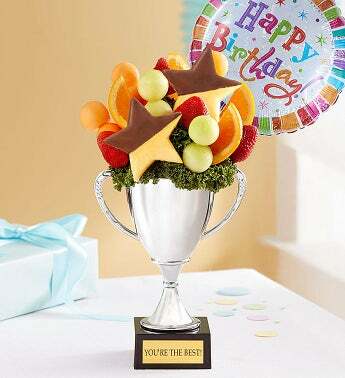 A shiny silver trophy with a gold plaque that says, “You’re The Best!” is filled with delicious star-shaped pineapples, strawberries, orange slices and more—perfect for sharing. 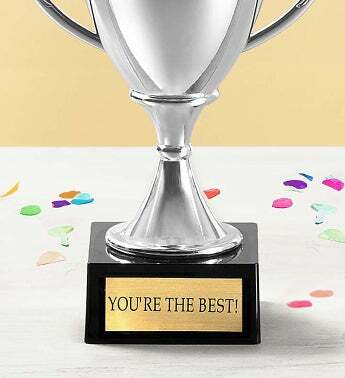 Add a bright “Happy Birthday” balloon to really let them know they’re #1.